We like to try new finshes and this Autumn we’ve been busily experimenting with new colours in our polishing shop. This handsome hand-made console has just come out of our workshop and doesn’t it look fab? The finish is an ebonised oak with a non-shiny wax on top. 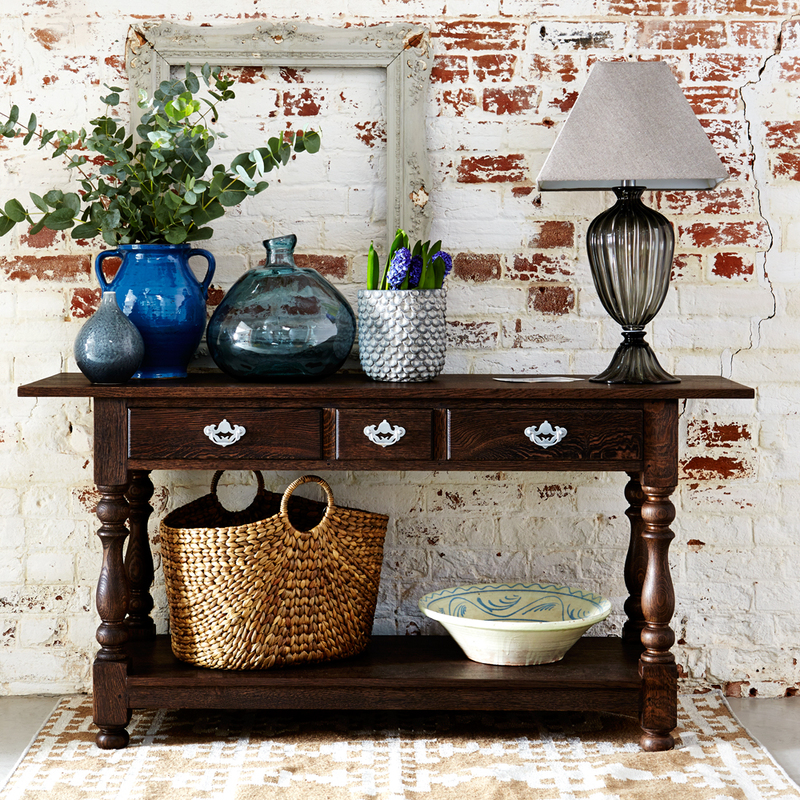 Three drawers and a pot-board make it a perfect piece for an entrance hall or sitting room. We’ve gone two tone on this small (well, relatively by T&G standards), eight-seater refectory table, hand-made from solid English oak at our workshops in Ipswich. 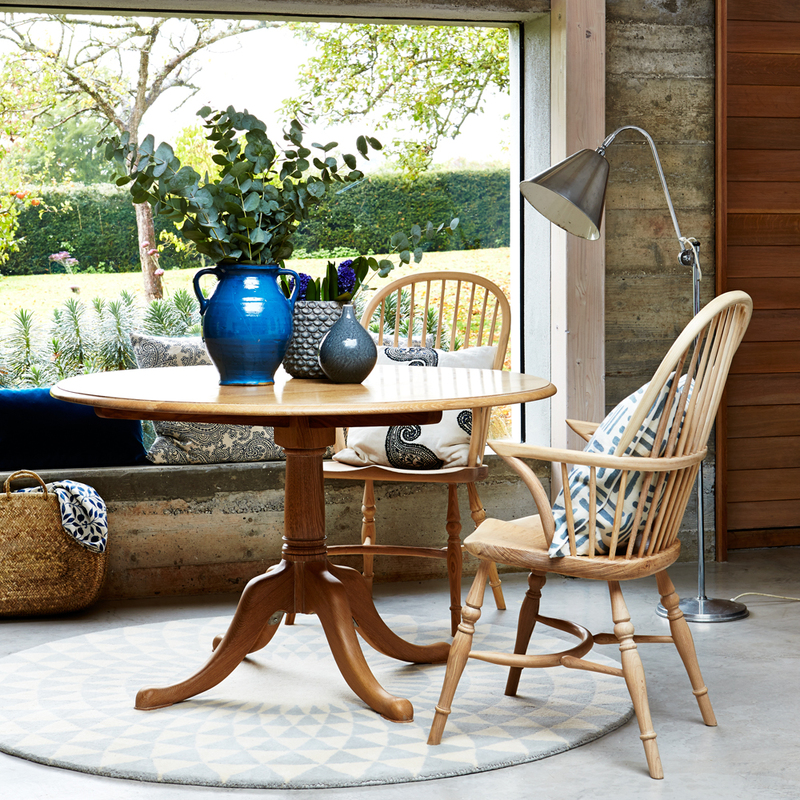 Finally, we’ve gone for a pale finish on this solid English oak breakfast table. Please get in touch if you’d like to hear about any more of our new finishes or if you’d like some samples, or of course if you’d like samples of our traditional finishes.